Seafarers planning to work on a yacht will have heard the term “Seaman’s Book”, but what exactly is a Seaman’s Book, who needs one and how can I get one? The Seaman’s Book is a record of career certification and experience, however, contrary to popular belief this does not replace your passport and/or visas that are needed to work on a yacht. A Seaman’s Book can be issued by the yacht's flag authority to prove your sea time on and off the vessel, it also does help in issuing and arranging visas. There are hidden benefits by having a Seaman’s Book, which is also a common name for a Discharge Book. In addition to records of sea time, the Seaman’s Book also allows yacht crew to travel on marine fare tickets (refundable and changeable) which are often at a discounted price and come with an increased luggage allowance. What is a Seaman's Discharge Book (SDB)? A Seaman’s Discharge Book, sometimes known as a Seaman's Service Book (SSB), is a full record of a seafarer’s career experience and certification. The Seaman’s Book certifies that the seafarer holding it is a “Seaman” as per The International Convention on Standards of Training, Certification and Watchkeeping (STCW). 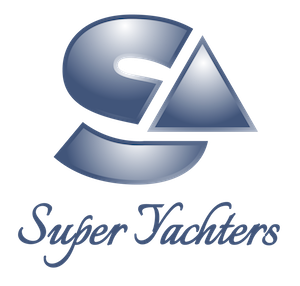 All seafarers looking to work on a yacht must have their STCW certificates. A Passport, STCW certificates and a Seaman’s Book are now considered essential travel documentation for yacht crew. Change of cruising plans at short notice, adjustments made to watchkeeping schedules or rotation means travel plans require to be flexible, thus a “marine fare ticket” will be issued. A Seaman’s Book can be used to book a one-way ticket to a destination as opposed to your usual requirement for proof of a return ticket. The Seaman’s Book will be dated (sea time), signed and stamped by the Master when the seaman ‘Signs-Off” the vessel. Do I Need a Seaman's Book? How Do I Get a Seaman's Discharge Book? Firstly, decide whether or not you really need a Seaman’s Book. You have to keep in mind that the process of how to obtain a Seaman’s Book varies on the yachts flag authority as well. The process of how to obtain a Seaman’s Book varies on the yachts flag authority. United Kingdom Application for an MCA discharge book (MSF 4509) can be found at Gov.uk - Note: Must be a British Citizen to Apply.